The following example resume has been specifically targeted towards EA & PA work. 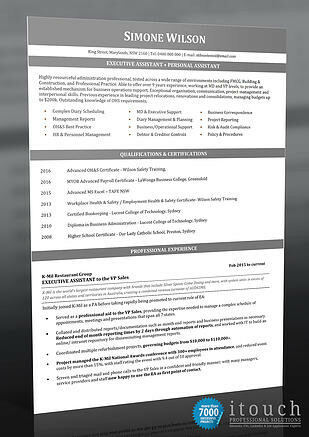 This resume writing style takes on a clear layout with precise wording and was used to target the corporate markets. Key words have been carefully selected and have been integrated into the wording of both the summary and job descriptions.